Got this model all set and ready for Dragon Rampant/Frostgrave this week. Took less than 2 hours to paint and turned out well. 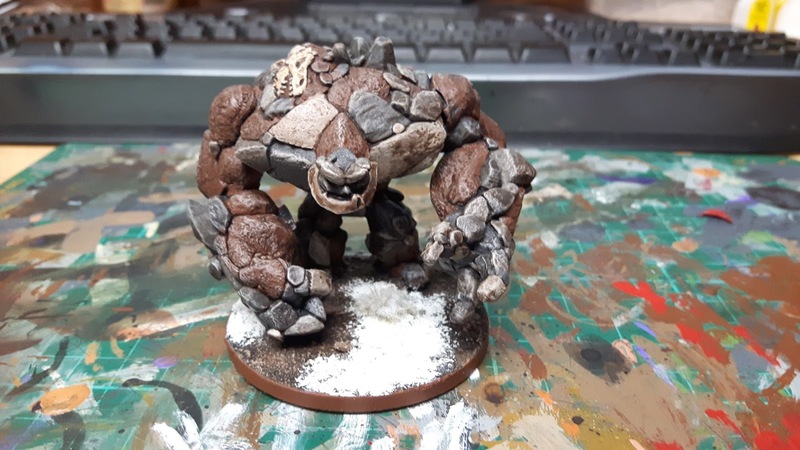 It was the first Reaper Bone miniature I've painted and I was really surprised at the amount of detail on it. 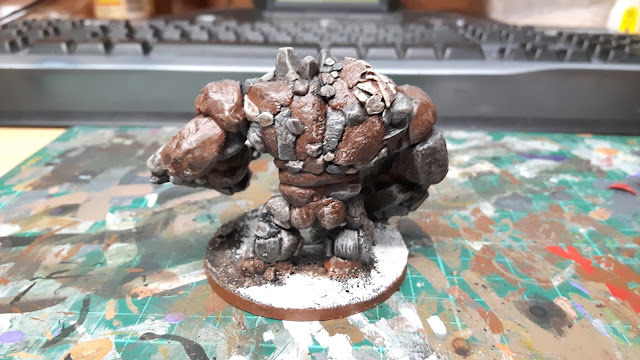 This was a very easy model to paint. 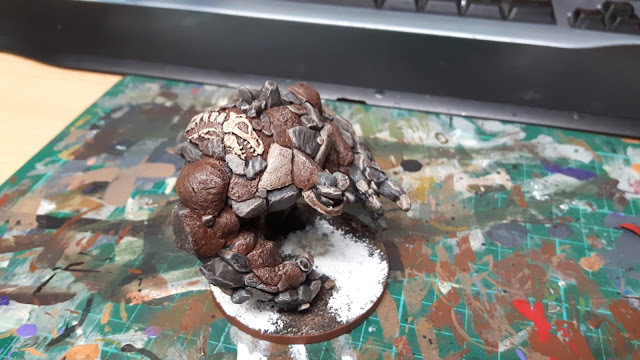 I picked out the areas of earth in brown and then chose 3-4 different greys for the stone, just for variety. The earth got a light brown drybrush and all the stone a drybrush of fortress grey. I then picked out the skeleton with bleached bone and the entire model, earth, bone and stone got a light white drybrush, which tied it together. 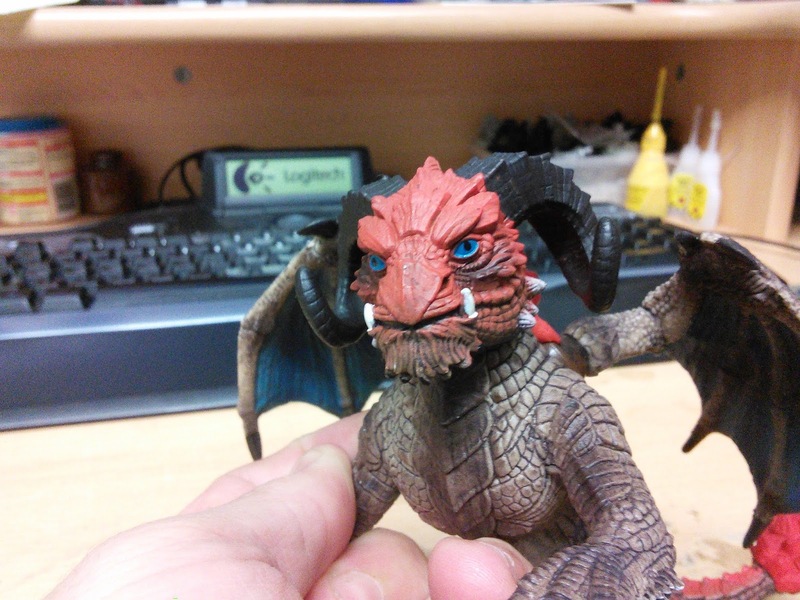 Finally a wash of Agrax Earthshade went across it to pick out a lot of the detail. Simples! 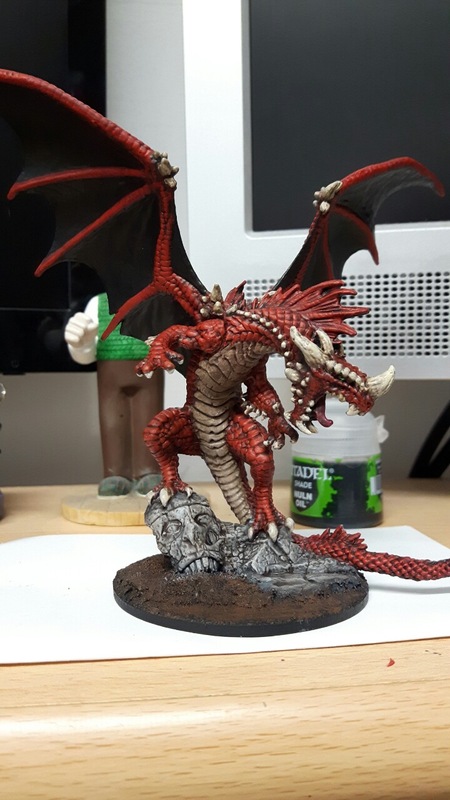 2nd reaper bones miniature nearly finished and ready for frostgrave! 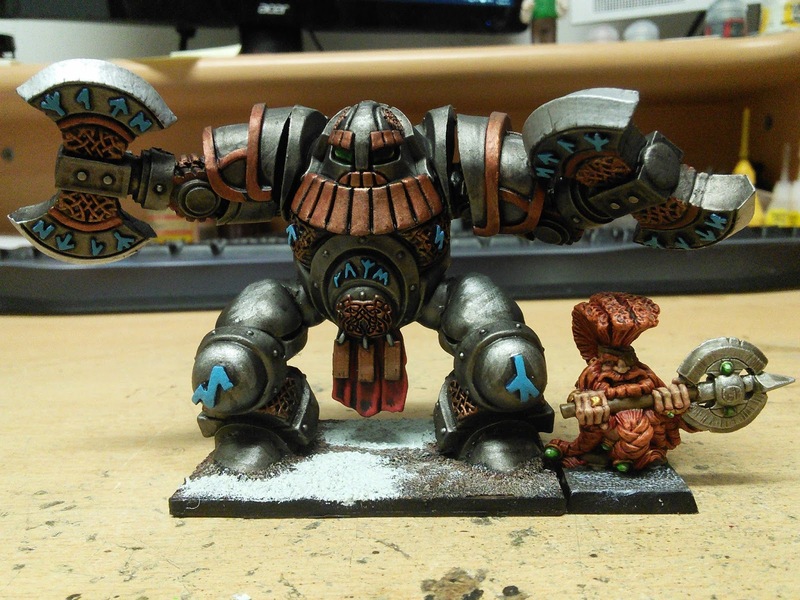 This was painted very quickly, more for take battle quality than painting competition! Me and JustJohn managed to get another game of Dragon Rampant in this weekend. We had slightly different army lists this time. 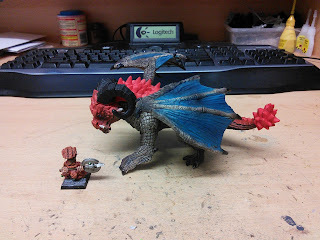 I had a greater warbeast (Ancient Bron...See previous post) and he had a giant (Bellicose Foot). It was another fun game of Dragon Rampant with us both still learning the rules a bit (and forgetting to do stuff!). Light Foot - Orcs with spear and shield. We rolled for scenarios and got The Ringbearer. 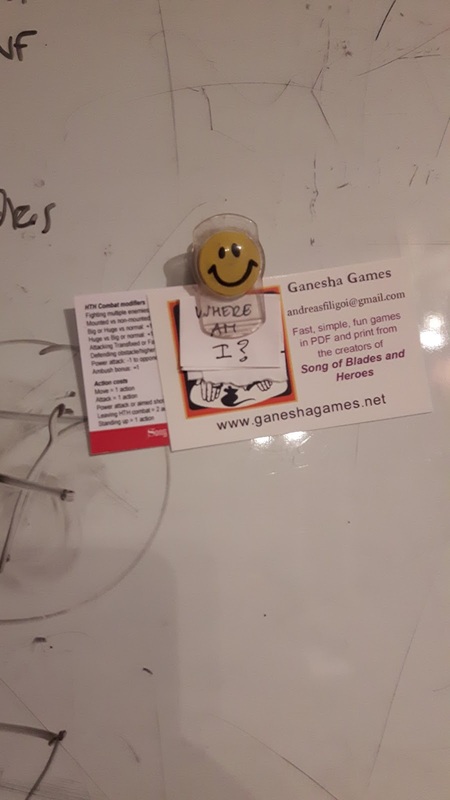 We completely forgot to name quests, which has quite an effect later on! The Orcs had recently come across two small fellows sneaking through their lands on foot. These annoying hairy footed chaps had been quickly stuffed in a pot and boiled up with something nice. On their person the Orc leader found a lovely shiny ring, which he quickly stuffed in its pocket. 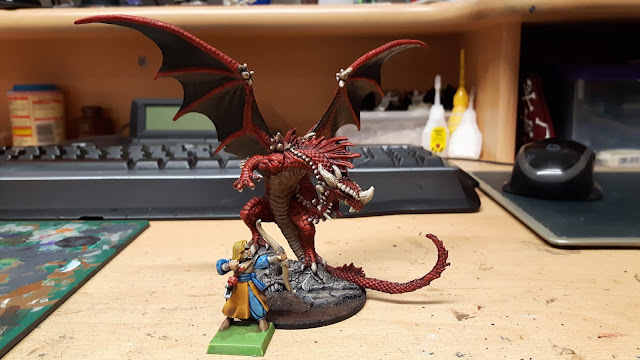 Having heard of the news of their death King Thorgrimm wakes Ancient Bron and sets off to avenge their rather short unbearded friends (and get his hands on a magic shiny gold ring in the process! ). The Dwarfs are attacking and Orcs defending. The location of the ring written down for safekeeping. What has it got in its pocketses? I spied a bunch of these in my local smyths toys today and decided to purchase one. They cost between 15 and 20 euro so 10-14GBP. 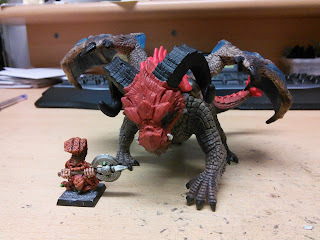 The paint scheme on them is surprisingly good and would need very little work to make the table with the 'battering dragon' (the one I got) just needing a wash over two small areas that have no shading and maybe a drybrush on the horns. As you can see they are decent enough size for the likes of frostgrave or dragon rampant style games. The largest dragon (the warrior) was about 5" in height. 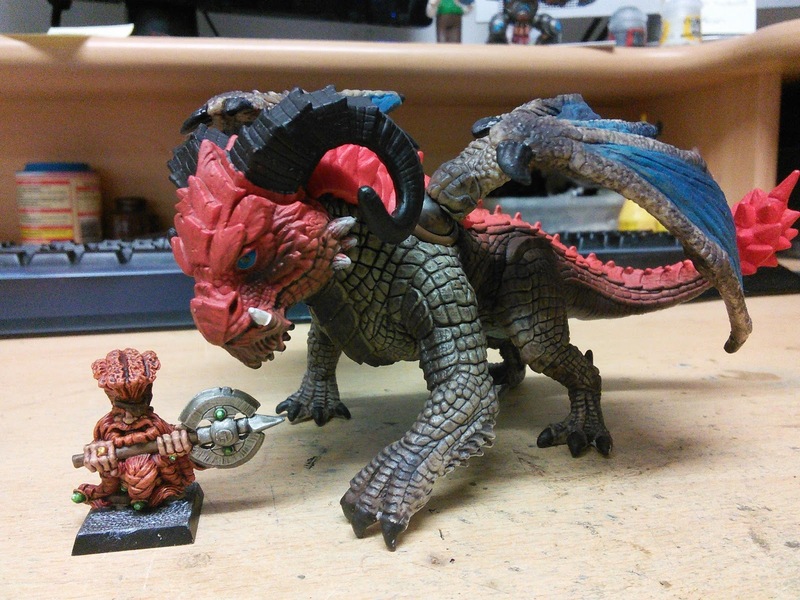 The battering dragon may not represent a fully grown dragon able to decimate armies but its a nice scale for smaller sized games. This was another introductory game of Dragon Rampant. 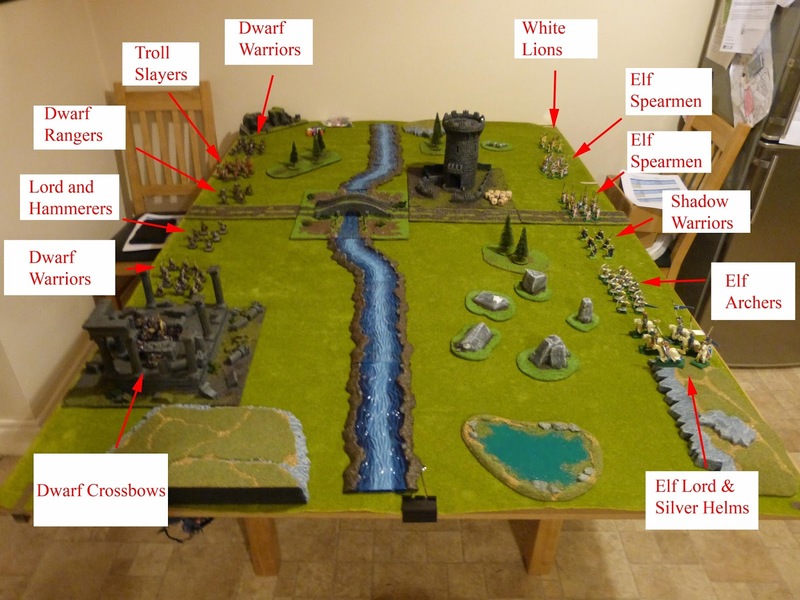 This time introducing Panzermonkey and his Elves to the rules. Yet again we decided to ignore the movement penalty for terrain and to treat the stream as open as it kind of dominated the centre of the table! The Elves were different to reflect their nature and Panzermonkeys models! Both Warbands came to 24 points. 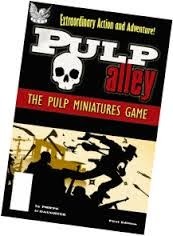 The scenario was the standard kill all your opponents models just for simplicity. The Elf Cavalry are so fast they are a blur! 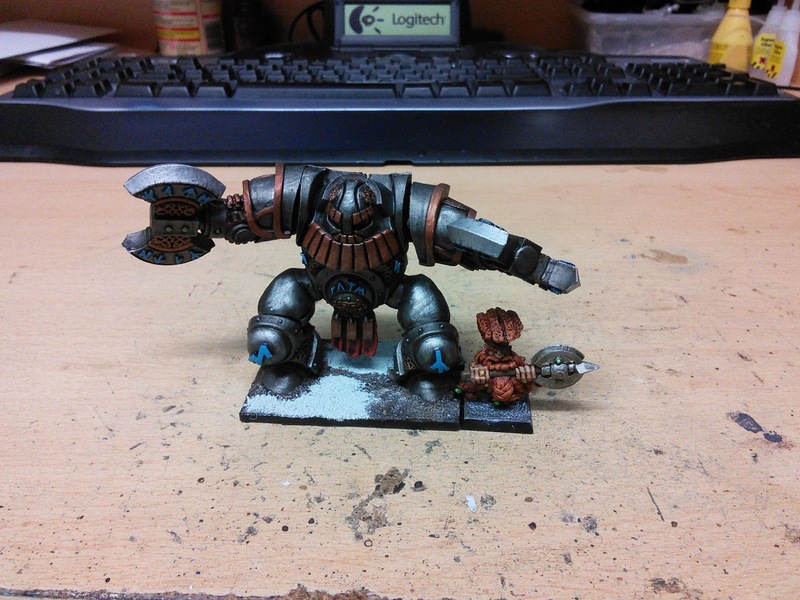 The Dwarf Lord then manages to charge the Shadow Warriors, wiping them out. A bad dice roll sees the Elf cavalry fail to charge the crossbows before they retreat into the ruins. The crossbows get a round of shooting at them and then the depleted Silver Helms charge the crossbows in rough terrain. The Elf archers fail to activate and are caught by the Dwarf Lord. They rout from the field. We called the game there as the Dwarfs had three units remaining (Lord and Hammerers, Dwarf Warriors and crossbows) while the elves only had a half strength unit of White Lions. I may have to stop going overboard with scenery. It really hampered the cavalry in this game, or would have done if the river had been rough terrain too!